A collaborative, dynamic, discussion-based forum for literacy leaders. The work of literacy leaders is essential to school transformation. Sparks become flames. Ideas gain momentum. Strong leadership can shift the status quo. What, in this time of cultural and political divisiveness, should our priorities be? How should we be moving things forward? What ideas, experiences, and opportunities should we support? What kind of momentum can we generate? What kind of movements can we build? The CEL 2019 Annual Convention seeks to explore these concerns. The CEL Convention immediately follows the NCTE Annual Convention and uses the same registration form. Registration includes access to all sessions, events, breakfast, and lunch. Find flight, shuttle, and hotel discounts for your travel to the 2019 CEL Convention. All Convention activities will take place at the Baltimore Convention Center. CEL wishes to thank Heinemann for its sponsorship and underwriting of the CEL Convention. Dr. Jarred Amato is an award-winning educator from Nashville, TN, and the founder of Project LIT Community, a national literacy movement. 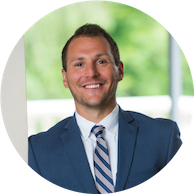 Jarred is an avid reader, writer, and speaker who enjoys collaborating with fellow educators to improve literacy attitudes and outcomes in our schools and communities. Jarred is a two-time MNPS Blue Ribbon teacher and the recipient of the Penguin Random House Teacher Award for Literacy as well as the Inspiring Educator Award from the Nashville Public Education Foundation. Jarred has served in several teacher-leadership roles over the past decade and he has received Teacher of the Year honors at Maplewood High School and Jere Baxter Middle School, where he taught for the first six years of his career. Dr. Amato received his B.A. in English and History from Vanderbilt University, his M.A.T. from Belmont University, and his Ed.D. from Lipscomb University. You can follow Jarred at @jarredamato and @projectlitcomm on Twitter! Dr. Dana M. Stachowiak is an assistant professor of curriculum and instruction in the Department of Educational Leadership in the Watson College of Education, where she also coordinates the Curriculum Studies for Equity in Education program. She earned her Ph.D. in educational studies with a concentration in cultural studies at the University of North Carolina at Greensboro. Prior to her appointment at Watson College, Dr. Stachowiak was an assistant professor of diversity/multicultural education at the University of Louisiana at Lafayette. She was also curriculum specialist and teacher for a decade in North Carolina. Dr. Stachowiak’s primary areas of specialization and research include trans/gender studies in education, social justice education, equity literacy, literacy curriculum development, cultural foundations of education, and qualitative research methods. Dr. Stachowiak has several publications in peer reviewed journals and edited books. 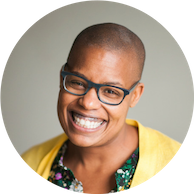 Most recently, she co-edited a special edition on radical hope for curriculum for the International Journal of Critical Pedagogy. 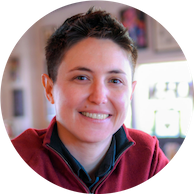 Currently, Dr. Stachowiak is working on research related to her community engaged grant project, Queer[ed] Storyscapes, which infuses art with social justice work in the Wilmington area.